When an angle grinder blade randomly exploded in the hands of 44-year-old construction veteran, Scott Chandler, smashing him in the eye, he was immediately covered in blood. While a guard was installed on the grinder, the near new four-inch blade exploded while the grinder was facing upwards, meaning there was nothing between it and his face. “It was mid-air. I had just turned it on. It got up to speed and was half an arm’s length away. As I went to turn it over, it just exploded,” Scott said. 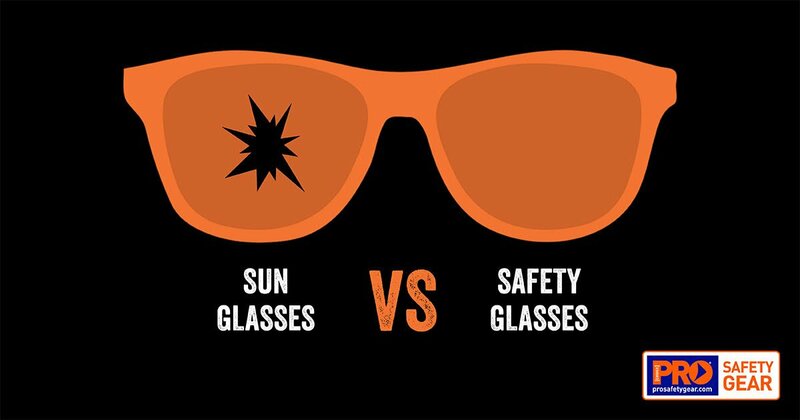 Luckily, Scott’s eyesight was saved by a $15 pair of ProChoice safety glasses. Despite wearing his safety glasses, Scott did not escape without injury, although it was nothing compared to what may have been if he had not been wearing his PPE. Scott said he is always fairly diligent wearing his PPE, but that now he will be even more careful. “I wouldn’t even consider touching a tool without these on. They saved my eyesight, without a shadow of doubt. I’ll wear full face now,” he said. Scott has taken the opportunity to spread the message about safety, using the incident to drive home the importance of PPE with his friends and his son – who is a mechanic. “For something worth $15, compared with the pain and suffering you’re going to go through, at the time and long term. I wear these things to bed now,” he joked. Scott was wearing ProChoice’s Fusion Pro 9202 safety glasses, which are rated for medium impact however when using an angle grinder, it is advisable to wear a high impact BGVC Browguard with Visor for maximum protection. Hearing protection and Class 5 cut resistant gloves with vibration resistant properties should also be worn, while a face shield is highly recommended along with safety boots. Well-fitted flame resistant clothing should also be considered. See more about selecting and operating an angle grinder along with using a blade rated for the grinder and task in our Angle Grinder Safety Guide. Why Do We Keep Safe?